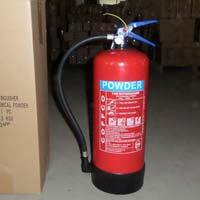 Dry Powder Fire Extinguisher manufactured by us is a perfect composition of optimal chemicals. Powder fire extinguisher synthesized from our labs is made after proper research. The efficiency of this product is properly verified under intense conditions. Our prime focus has always been the quality of our product. We always make endeavors in creating excellence. Proper research and development, state of the art infrastructure and proficient work force are the only components for our phenomenal success story, with this we are also leading dry powder Manufacturer, Exporter & Supplier. 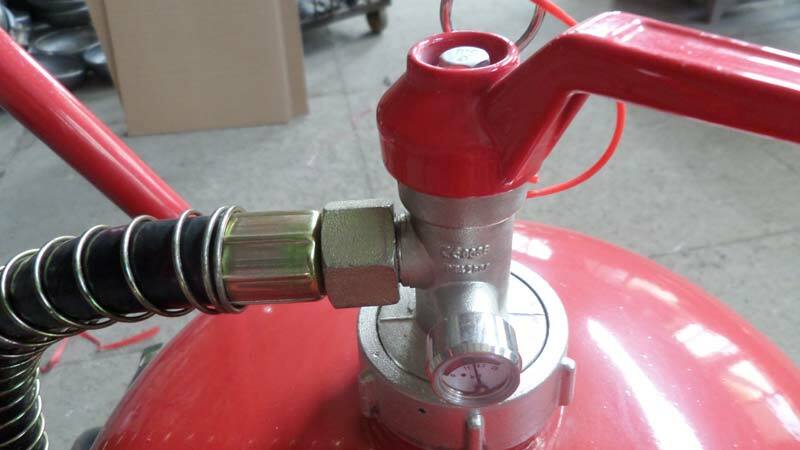 Portable Fire Extinguishers has a simple structure, flexible operation and convenient application with the advantages of fast extinguishing speed, high efficiency, continuous or intermittent spraying. It is the most versatile Fire Extinguishers available. It is applicable to the extinguishments of preliminary fire caused by oil, flammable liquid, solid organics, gas and electric equipment. It is the ideal equipment for factory, office, school, hotel, oil pump house, filling station, chemical paint house and combustible places. It is ideal for areas with multiple fire hazards as it is effective on Class A, Class B, Class C and Electrical fires. Dry Powder is electrically non-conductive and is not dangerous to human or animals. Made of Steel Cylinder of High Quality and painted with anti-corrosive polyester paint (Powder Coated Painting). ABC Dry Chemical Powder is effective on class A, B, C & Electrical fires and it is ideal for multi-risk fire. Ready for instant use and simple to operate. It is manufactured as per ISO 9002 & BS EN3 Standards. Do not use on fires involving carbon bisulphate and flammable metal. Available in Red and Blue colors. Size capacity of cylinder can be supplied upon request. Extinguishing Agent : ABC Dry Chemical Powder. Class of Fire : A B C & Electrical fires. Cylinder Material : Cold Rolled Steel. Temperature Range : 20 Deg C to 60 Deg C.
Printing : Silk Screen Printing style. Mounting : Wall mounting using Brackets. Dry Powder Trolley Fire Extinguishers is also available with COFFCO with various capacities. Dry Powder Fire Extinguisher on trolley is very effective for use in Class A, Class B, Class C and Electrical fires and also ideal for multi-risk fire. It is applicable to the extinguishments of preliminary fire caused by oil, flammable liquid, solid organics, gas and electric equipment. It is the ideal equipment for factory, office, school, hotel, oil pump house, filling station, chemical paint house and combustible places. Dry Powder is electrically non-conductive and is not dangerous to human or animals. Made of Steel Cylinder of High Quality and painted with anti-corrosive polyester paint (Powder Coated Painting). ABC Dry Chemical Powder is effective on class A, B, C & Electrical fires and it is ideal for multi-risk fire. Ready for instant use and simple to operate. It is manufactured as per ISO 9002 & BS EN3 Standards. Available in Red and Blue colors. Size capacity of cylinder can be supplied upon request. Wheel : Solid Rubber and Aluminium Alloy. COFFCO can also supply External & Internal Cartridge type Dry Powder Trolley Fire Extinguishers of various capacities as per client's requirement. 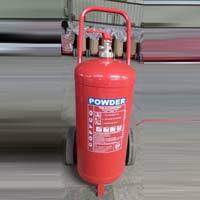 Dry Powder Fire Extinguisher on trolley is very effective for use in Class A, Class B, Class C and Electrical fires and also ideal for multi-risk fire. It is the ideal equipment for factory, office, school, hotel, oil pump house, filling station, chemical paint house and combustible places. Dry Powder is electrically non-conductive and is not dangerous to human or animals. Made of Steel Cylinder of High Quality and painted with anti-corrosive polyester paint (Powder Coated Painting). ABC Dry Chemical Powder is effective on class A, B, C & Electrical fires and it is ideal for multi-risk fire. Ready for instant use and simple to operate. It is manufactured as per ISO 9002 & BS EN3 Standards. Available in Red and Blue colors. Size capacity of cylinder can be supplied upon request. Available in all sizes even trolleys. Wheel : Solid Rubber and Aluminium Alloy (for trolley type). 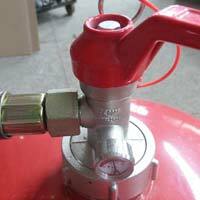 COFFCO can supply Automatic Dry Powder Fire Extinguisher of various capacities.